Drake University announced today that Hy-Vee, Inc., will serve as the presenting sponsor of the Drake Relays in a partnership that promises to enhance and elevate the already sterling reputation of the Drake Relays. Part of that exciting new era is more than half a million dollars in purse money for a field that currently features 16 medalists from the 2012 London Olympic Games and a world record holder already confirmed to compete at the Relays with more to potentially join the star-studded field at a later date. Those Olympians and professional athletes will compete in ‘London Rematches’ for a $50,000 purse in the running events and a $25,000 purse in the field events. The purses are the largest for an event in the United States and $20,000 more than is offered by the Diamond League, the sport’s top professional circuit. The Relays and those athletes, including 2012 Olympic gold medalists Aries Merritt, Felix Sanchez, Renaud Lavillenie, Jenn Suhr, and Brittney Reese, will be featured on ESPN2 with 90 minutes of action being broadcast to nearly 100 million homes in prime time. In addition to the enhanced level of professional competition inside Drake Stadium, the partnership with Hy-Vee will also invigorate the Relays’ road races with $120,000 in prize money awarded to the top finishers in the Wellmark Grand Blue Mile, 10-kilometer race, half marathon, and a new 6-kilometer race staged in conjunction with Character Counts in Iowa. The 6-kilometer distance is representative of Character Counts in Iowa’s Six Pillars of Character – Trustworthiness, Respect, Responsibility, Fairness, Caring and Citizenship. Character Counts in Iowa will receive a portion of the proceeds from the 6-kilometer race. 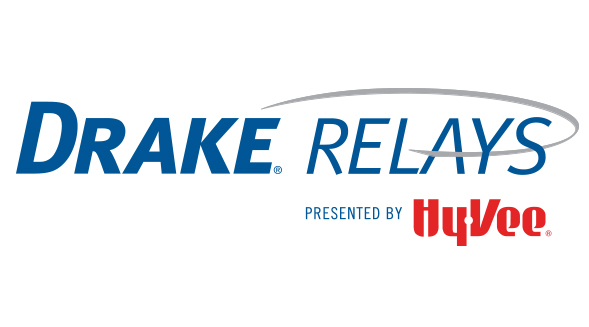 Those road races will continue the Drake Relays and Hy-Vee’s long-time support and commitment to health and athletics and ensure that the Relays remain an integral part of the Des Moines community. Hy-Vee’s sponsorship of the Drake Relays is one of many examples of the company’s long-standing relationship with Drake University, which includes a $300,000 gift this past July to create the Hy-Vee Student Learning Commons in the Morgan E. Cline Atrium for Pharmacy and Science. The 104th installment of what promises to be one of the greatest Drake Relays in its storied history is scheduled for April 24-27 at Drake Stadium. The men’s 400-meter field currently features the 2012 Olympic silver and bronze medalists, as well as the inspiring Oscar Pistorious. A native of the Dominican Republic, Santos earned a silver medal in the 400 meters at the London Olympics at the age of 18 with a time of 44.46 for a near personal best. He was also a World Junior Champion in 2012, the first ever for his country, and has the potential to become just the second non-American to break the 44-second mark in the event. Gordon took home a bronze medal in the event for his native Trinidad &Tobago at the London games with a personal best of 44.52 and also earned a bronze medal as a member of Trinidad & Tobago’s 4×400-meter relay team. While he did not medal at the London Olympics, Pistorious was one of the Olympiad’s biggest stories as the South African double-amputee made the finals of the 400 meters on his prosthetic legs as the first amputee runner to even compete in the Olympics. The men’s 110-meter hurdles will be a complete rematch of the London Olympics with the gold, silver and bronze medalists all confirmed to compete at the Drake Relays. The American won his first Olympic gold medal in the event at the London Games and followed that performance by setting the world record at 12.80 a month later in Brussels. His world record effort saw the biggest drop in the event’s record in more than 30 years. Richardson finished just 0.12 behind his fellow American to win a silver medal at the 2012 Olympics after winning the 2011 World Championship in the event. The Jamaican national record holder in the event, Parchment earned a bronze medal with his record-setting time of 13.12 in the event. Another complete London re-match with the London Games’ gold, silver and bronze winner all confirmed to race on the Blue Oval. A two-time gold medalist, Sanchez recently won the gold in London after accomplishing the same feat at the 2004 Olympics. The native of the Dominican Republic is also a two-time world champion in the event and has consistently been one of the most dominant hurdlers in the world for nearly a decade. Tinsley set personal bests at every step along the way to his silver medal in 2012. The American set a personal best at the Olympic trials, the semifinals and finally in his silver medal run. He is no stranger to Drake Stadium having finished third at the 2010 USATF Championships in Des Moines. Culson earned a bronze medal at the 2012 Olympics after earning a silver medal in the previous two World Championships. His Olympic bronze medal was the first track and field medal ever for Puerto Rico. Lavillenie set a new Olympic record with his vault of 19-7 to take home the gold medal at the 2012 Olympics. A four-time European Champion, the native of France also has an indoor World Championship gold medal and a pair of outdoor World Championship bronze medals to his credit. Otto finished just behind Lavillenie for his first silver medal in the event just months after winning silver at the indoor World Championships. He capped his outdoor season by jumping a personal best of 19-8.5. The triple jump will feature a familiar face at Drake Stadium who recently earned a silver medal in the event. Claye earned a silver medal in the triple jump and a bronze in the long jump at his first Olympics in 2012 after winning a bronze in the triple jump at the 2011 World Championships. The former collegiate star at the University of Florida also posted a second-place finish in the triple jump at the 2011 NCAA Championships at Drake Stadium. The women’s 100-meter hurdles features two Americans that won silver and bronze at the 2012 Olympics. Harper is a two-time American Olympic medalist with a silver medal in the 100-meter hurdles in 2012 with a personal best time of 12.37 after winning gold at the 2008 Beijing games. In 2011 she was the bronze medalist in the event at the World Championships. Wells finished just behind Harper to earn the 100-meter bronze medal at the 2012 Olympics with a personal best of 12.48 after winning the 2011 USATF outdoor championships in the event. In 2010 she was the runner-up in the 100-meter hurdles at the USATF Championships at Drake Stadium. Suhr is a two-time Olympic medalist having won gold last summer after taking home bronze in 2008 and is the current American indoor and outdoor record holder in the event. She is also an 11-time national champion and last season set the Drake Relays record in the event at 15-7 in the Pole Vault and Mall to just narrowly miss the setting her own American indoor record in the event. Holliday advanced to the Olympic finals in London where she finished ninth in the field with the second-best American finish. A seven-time USATF Championships medalist, she won silver in the 2012 and the 2010 event at Drake Stadium where she set her personal best of 15-1. In addition to winning a gold medal in the long jump at the 2012 Olympics, Reese is a four-time world champion in the event and the American indoor record holder and the first woman to win back-to-back indoor world championships and continued her string of winning every major championship in the event since 2009. DeLoach is currently ranked second in the world after winning a bronze medal at the 2012 Olympics after winning a silver medal at the 2012 indoor world championships. She is also a two-time USA indoor champion and was the 2011 outdoor runner-up. Drake will host second "Guitars under the Stars"